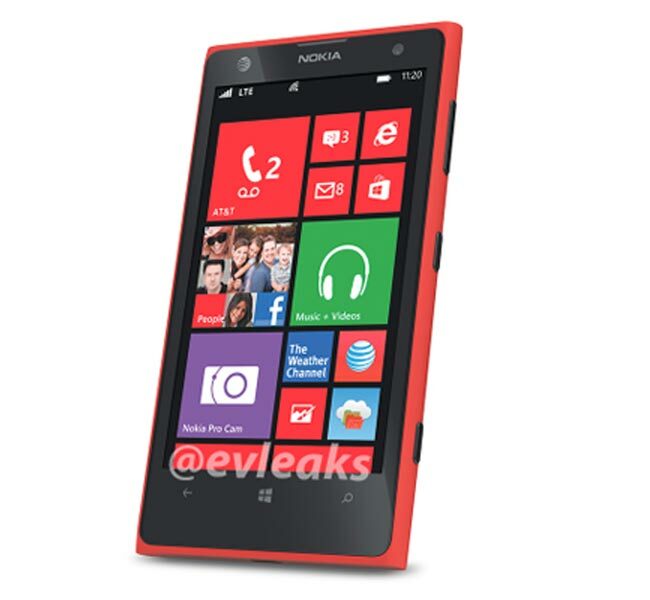 It looks like AT&T will be getting an exclusive version of the Nokia Lumia 1020, the following photo showing a red AT&T Nokia Lumia 1020 was posted on Twitter by @evleaks. AT&T have already announced that they will be offering the black, white and yellow versions of the Lumia 1020 from the 23rd of July, but they have yet to announce the red version. The Nokia Lumia 1020 features a 4.5 inch WXGA AMOLED display with a resolution of 1280 x 768 pixels, there is also a dual core Qualcomm Snapdragon 1.5GHz processor, there is also 2GB of RAM and 32GB of built in storage. The Nokia Lumia 1020 features a 41 megapixel PureView camera with OIS, Nokia Pro Camera, a Xenon flash for photos and an LED flash for video. As soon as we get some more details on exactly when the red Nokia Lumia 1020 will be available with AT&T we will let you guys know.